Your Guide to Creating Beautiful Spaces, FAST! ideas, and solutions to enhance all rooms of your home. think you'll enjoy her wit and original insights. 1) Time to "Spring" In Action! Time to "Spring" Into Action! for you to "Spring" into action. Spring marks the time for renewal and regeneration. colors also add drama to small corridors. pane, add curtains, and hang it on the wall. reflection, which will expand the space. walls to give the feeling of expansiveness. over the top and bottom moldings. it feel and act more as a room, in and of itself? can fulfill that you hadn't even thought of, yet. 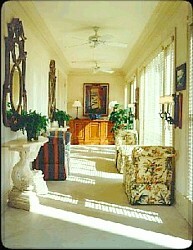 hallway and making it feel stylish and inviting. finish to hide the imperfections. pieces to make the hallway seem cozier. is highly twisted pile or dense loop pile. English garden, or outer space! and that you won't ruin anything of value. interest for all who pass through. and rails of the stairs in dark teak too. room. Can you help me? adjust the size as needed to fit under you stairway. large vase that matches the décor in the living room. "How to Make Roman Shades"
the big sunflower icon for Artella's current specials.